Original titles and ORIGINAL Protecto plate history from DANIELS MOTORS in Colorado Springs, CO to Tucson, AZ, to Wisconsin. 3 owner early history. I saw this car at Bloomington Gold in 2001. Sold new to Dr. Dawson and his wife. Then to John Lisk who was the mechanic at the local gas station and cared for the car for sometime. The car wound up in Florida with Steve Laham. He discovered the car was repainted and in good original condition. Steve put it up for sale in 7/03. Sold to Corvette collector Charlie Bacon, Running Springs, California in May 2004. Charlie got the FI working better and sold it to Greg in Northridge, California in Oct 2004. The Interior has new Al Knoch seat covers, seat foam, rebuilt seat frames, and new carpet. The car has the Original KH steel wheels and perfect restored 65 hub caps. The owner also has a set of Wesern Knock offs with Diamond Back Goldlines that go with the sale of the car. At this same 2008 time the original motor was completly rebuilt with all new GM parts to factory specs, 11 to 1, solid lifter original cam, etc. and harden valve seats for the unleaded gasoline. 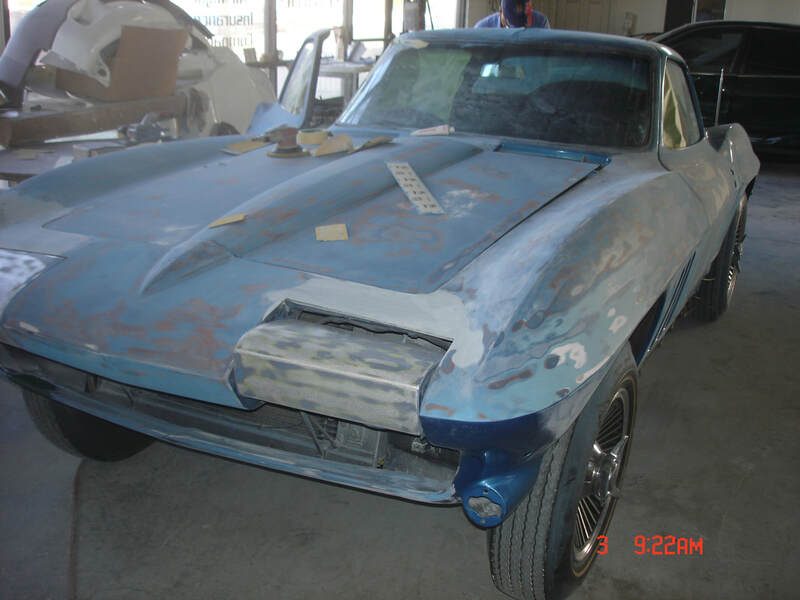 Expert Corvette restorer Steve LuVisi has cared for this car for 12 years. Doug Prince restored the fuel injection unit and distributor. A service GM NOS N-11 ‘’off road’’ exhaust system was also installed.with a new correct replacement DeWitt radiator. The car was built in 11/64 but the Rad date code is 7/65. The car also has KONI shocks. 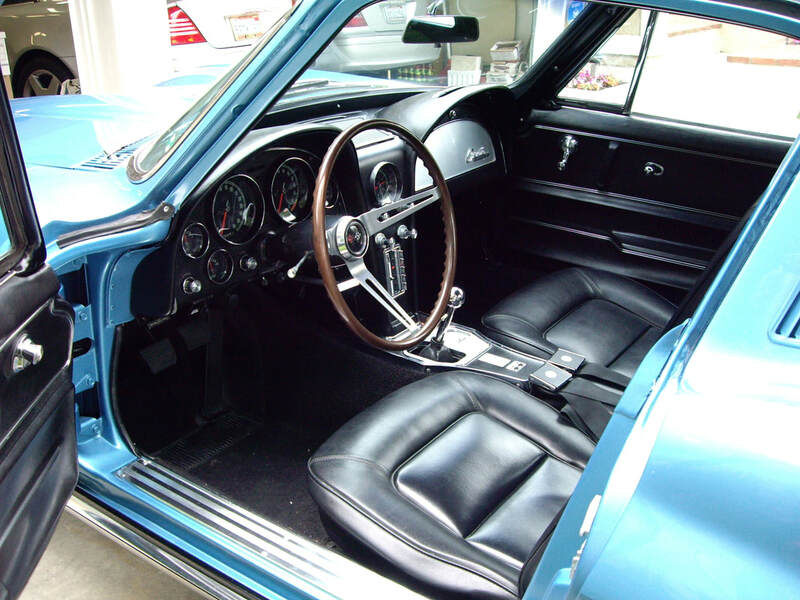 Driveline in all original, and all living former owners can be reached for comments. Starter, alternator, master cylinder and other items are all number correct original Corvette parts. The detail on this car is outstanding, It is ready for NCRS or BLOOMINGTON Judging, or better yet, just DRIVE IT and enjoy. I have many other photos and details of this body on restoration and 53 years of care by loving owners. Please call or text me at 909-557-4870 cell for more information. Offered at $119750 FOB Southern California. Close to BURBANK Airport.